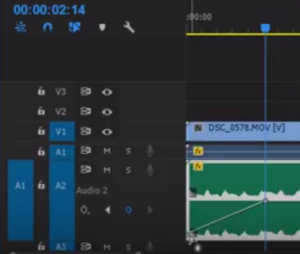 Learn how to Create an Audio Fade in Adobe Premiere Pro CC. Adding music to a video edit is something that happens quite often. However having music just start can be a little abrupt. To not jolt the user, we can use a fade to help slowly bring the audio in to the scene. This will make for a smooth transition, and an overall better edit. Today we go over how to fade music in and out in Premiere Pro CC. There you have it. That is how you create audio fades in adobe premiere pro. This is a great technique to fit your audio to the rest of your video. It creates a smooth transition of the audio to help keep the focus on the video instead of the audio. Hey, this really helped me! Thanks for the tips! Thanks, quick and easy to follow – very helpful.